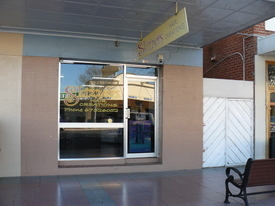 31 Commercial Real Estate & Properties in Moree are listed in 6 categories. We have 12 Industrial Warehouses Sale , 11 Retail ShopsSale , 6 Development LandsSale , 3 OfficesSale , 1 Medical and Consulting PropertiesSale and 1 Other Commercial PropertiesSale . 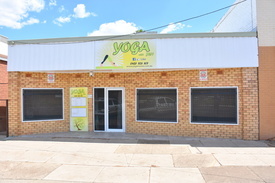 Affordable Comercial Shed $250,000 + GST if applica..
Criterion Centre Opportunity $380,000 + GST if applica..
Main Street Opporunity $230,000 + GST if applica..
Centrally located in close proximity to the new Moree Bypass and with direct access to the entry/exit ramp off the Newell Highway, this property is situated ideally for local business or the travelling trade. Currently operating as Barwon Tiles and Ceramics. Land adjacent is for sale separately. Situation: Towards the eastern end of Thompson Avenue with side lane access. Title: Lot 1/DP 559535 Area: 835m2 Zoning: B6 Enterprise Corridor Improvements: Steel frame shed, colourbond cladding, brick facade, approx 15x25m. Can be split into 2, with separate toilets, showers and kitchenette and 2 large roller doors each. One side has a large mezzanine floor. Evaporative air conditioning. 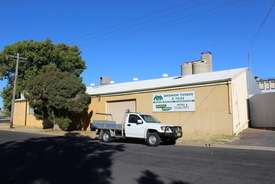 Perfectly positioned large block and industrial shed with a tenant in place. Situation: Eastern end of Thompson Avenue. 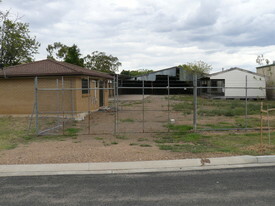 Title: Lot 10/DP842882 Area: 2,375m2 Zoning: B6 Enterprise Corridor Improvements: Large steel frame shed, approx. 900m2 which includes reception area, 2 offices, smoko room, toilets and a mezzanine floor. Currently leased by Partridge Metalfab. Additional area at the back of the shed with access from both sides. 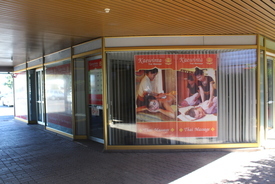 Positioned on the main thoroughfare into Moree and directly across the road from McDonalds and Mitre 10. Situated on 890m2 being Lot 1/DP583641 and zoned B6 Enterprise Corridor. 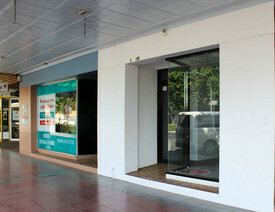 The building consists of a reception, showroom. storage room, 2 offices, workshop and mezzanine level. The office is approx 166m2 and the workshop approx 408m2. The workshop has a concrete floor and 3 phase power with compressed air outlets. The main office is air conditioned and the whole building has an alarm system. Large parking area in the back with rear lane access approx 320m2 Drive thru access makes the workshop highly suitable for trucks. Currently leased. 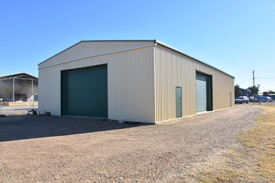 Commercial Shed With Great Exposure $300,000 + GST if applica..
bull; Positioned on the heavy vehicle bypass for all western traffic bull; Securely fenced 861.5m2 block bull; Built in 2011 with the shed covering approx 172sqm bull; Lot 1/DP 248214 Zoned B7 Business Park bull; Toilets, showers, office area, mezzanine floor and alarm system bull; Front and rear parking. bull; Council rates approx $4,287pa bull; Currently leased 6 Coolibah Street is a relatively new, clean and tidy building with easy access and excellent security. 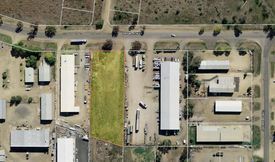 B7 Business Park Zoning 39.9m frontage to Gwydir Street Fully formed building pad Security fencing on all sides Located in the Greenbah light industrial area in one of the richest agricultural shires in Australia Currently Leased till August 2018 on excellent return. Profit From Position - Greenbah Light Industrial Area $700,000 + GST if applica..
Development opportunity Located in Greenbah light industrial area Situated in one of the richest agricultural shires in Australia 5979m2 block with B7 Business Park zoning Great exposure to passing traffic Approximately 41m frontage to Gwydir Street Approximately 27m frontage to Greenbah Road The size, location and exposure to passing traffic offers prospective purchasers the opportunity to capitalise on the future development of Moree Surplus to owners requirements must be sold! Highway Frontage With Great Exposure $700,000 + GST if applica.. 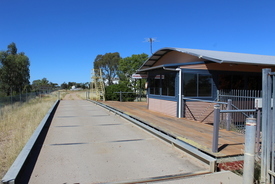 Perfectly positioned with frontage to the Moree Bypass and close proximity to the entry/exit ramp off the Bypass, this property is situated ideally for local business or the travelling trade. Land adjacent for sale separately. Situation: Towards the southern end of Gosport Street with frontage to the Newell Highway. Title: Lots 6 7/DP 16225 Area: 1,587m2 Zoning: B6 Enterprise Corridor Improvements: Office: Brick veneer 8x6m with split system air conditioner, carpet, toilet, kitchenette and security screens, alarm system with security cameras attached for the block. Timber Shed: 7x15m with iron roof and timber frame. Rear Shed: 18x19m with steel frame, iron roof and partial concrete floor. Skillion: 17x3m with steel frame, iron roof and concrete floor. Centrally located, this property offers buyers dual frontage to Greenbah Road and Gwydir Street. 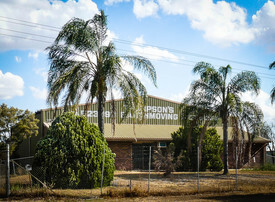 Situated on the main western thoroughfare into Moree.This block offers maximum exposure. Situation: Approx 40m frontage to Greenbah Road Gwydir Street Title: Lot 1/DP325721 Area: 6,209m2 Zoning: B7 Business Park Improvements: The main shed being 18m x 18m is constructed of steel frame and colourbond cladding with an 18m x 5m brick facade which consists of 3 offices, 2 bathrooms, 2 toilets, a shower and a kitchenette. The offices are airconditioned. Profit From Position - Large Scale Industrial Investment $1,000,000 + GST if appli..